Among the many important things you have to deal with when opening your own pho restaurant, serving great pho is at the top of the list. However, making delicious, tasty pho accounts for only about 20-30% to the success of your pho restaurant. The other 70-80% has to do more with running the restaurant itself as a business, managing your resources (employees, inventory, etc. 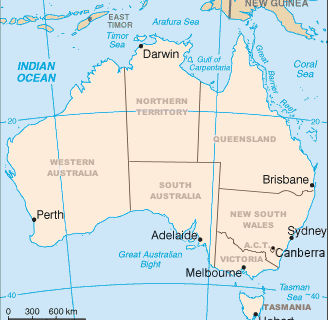 ), making your customers happy so they come back, and attracting new customers. Of course a restaurant owner must pay attention to all these areas, but for this post I'll be concentrating on the business side of making and serving great pho. 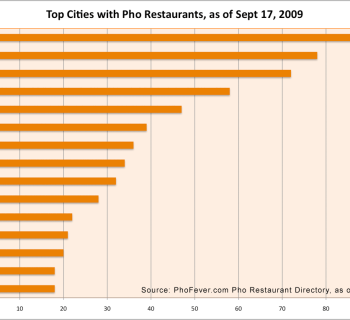 Here's a poll showing what LovingPho.com readers say they want in a pho restaurant. Take the poll if you haven't done so, and thanks for your input. Your Pho Recipe. You need to have a solid pho recipe by the time you open for business. Your recipe is the roadmap and a guide for your pho restaurant. 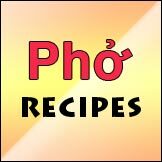 When your pho quality fails, a good recipe keeps you, or gets you back, on track. You can change it if you want or as necessary, but do it in an orderly manner. Don't start tweaking this and that, making your quality go all over the place. Many pho restaurateurs too eagerly open shop too soon without properly developing and testing their pho, and end up using real customers as guinea pigs while "improving" the recipe as they go. You only have one good chance to impress your Yelping customers, so do it right out of the gate. Otherwise it will take months and years to go from 2-3 stars to 4-5 stars on Yelp. Your Cooking. Regardless of if you make pho yourself or hire a pho chef to do it for you, your pho making process has to be tightly coordinated and controlled to maintain quality and consistency. This includes adhering to all timing during broth making, implementing proper storage, and incorporating quality control in every stage, all of which boil down to 2 things: good training and care. Good training ensures the person making pho does things correctly. And care ensures the person making pho wants to do things correctly. Your Supply Chain. 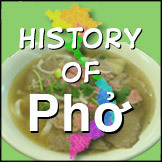 Having quality and reliable vendors and suppliers is very important for maintaining your pho quality. Your business depends on receiving good quality and fresh supplies everyday, so treat your pho vendors and suppliers as an integral part of your operation. 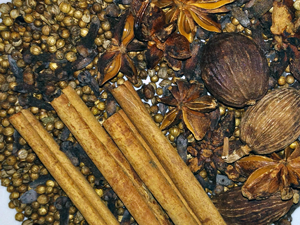 Set up and track your ingredient cost, quality, and availability in an inventory system that you control. This is the only way to help serve great pho to your customers, believe it or not. If you don't have control of what all come in and out your back doors, then you won't be able to properly serve your customers coming in your front doors. Your Staff. Hire and train your staff to be knowledgeable, friendly, helpful and most of all, great servers. Last time I check, pho restaurant is a hospitality business, so you'll want to run it like a hospitality business. Serving great pho is not quite enough. You'll also need to serve your customers as well. This means for everyone, from the owner to the chef, the servers and bus person, training and discipline are key. So set up group refresher sessions regularly, and everyone on your team will stay sharp. The customers will give you good positive buzz (which really has nothing to do specifically with your pho), and your employees will feel happier in earning higher tips and in knowing they did a great job serving someone else. There are other factors that impact or directly support your making and serving great pho, but the above are the main ones. 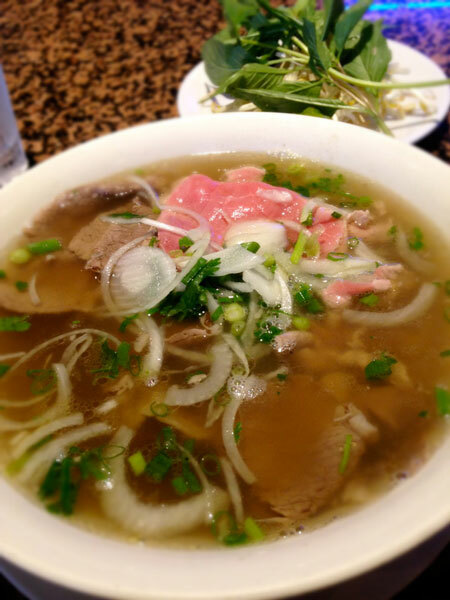 Customers look for "restaurant quality" food when they eat out, and pho is no exception. You have to give your customers a reason why they should go out and spend money in your pho restaurant. By paying attention to the above points, you are well on your way solving the majority of the problems faced by many pho restaurateurs. I hope this helps refocus your attention to things that really help make your pho restaurant a success.